COMMENTARY — So what did we learn from Utah’s annual spring football game last Saturday? Tyler Huntley is the Pac-12’s next freshman phenom quarterback, and fans will be clamoring for him to start in September when Southern Utah and BYU come to town. The receiving corps has a Dr. Jekyll and Mr. Hyde vibe going on, either dropping everything thrown their way, or making spectacular catches in solid coverage. Junior linebacker Christian Drews (who had a game-high 10 tackles) is going to be the next Ute defensive player taken in the first round of the NFL draft. Tight ends coach Fred Whittingham, Jr. will be pressing brother Kyle Whittingham hard for the head coaching position after successfully piloting the white team to a 14-7 victory. Just kidding. We actually know very little after the spring game. The reality is that it is never quite as promising as some plays would lead fans to believe, or as devastating as other plays might indicate. This was a glorified scrimmage that had more impact on the depth chart than the starting roster. In fact, many presumptive starters never made it off the sideline on Saturday and weren’t even suited up to play, including QB Troy Williams, WR Cory Butler-Byrd, WR Tim Patrick, TE Evan Moeai, OL J.J. Dielman, OL Isaac Asiata, DT Lowell Lotulelei, DT Filipo Mokofisi, DE Kylie Fitts, DE Hunter Dimick, CB Dominique Hatfield, DB Marcus Williams, DB Chase Hansen, and DB Justin Thomas. In other words, the squads we saw line up against each last Saturday bear little resemblance to the starting lineups that will take the field in 128 days when Utah hosts Southern Utah for a Thursday evening season opener on Sept. 1. Was it fun watching the players compete? Absolutely! Did we see hints of what the Utes have waiting in the wings? Yes, sir. Does last Saturday’s performance provide any real guidance going into next season? Nope. If I had a second chance to live last Saturday over again, would I still go watch Utah’s spring football game again? Of course. I just hope the football fix I got on Saturday will be sufficient to see me through the summer until fall ball. All kidding aside, true freshman Tyler Huntley did display some real talent and ability to elevate the Utes’ passing game … eventually. 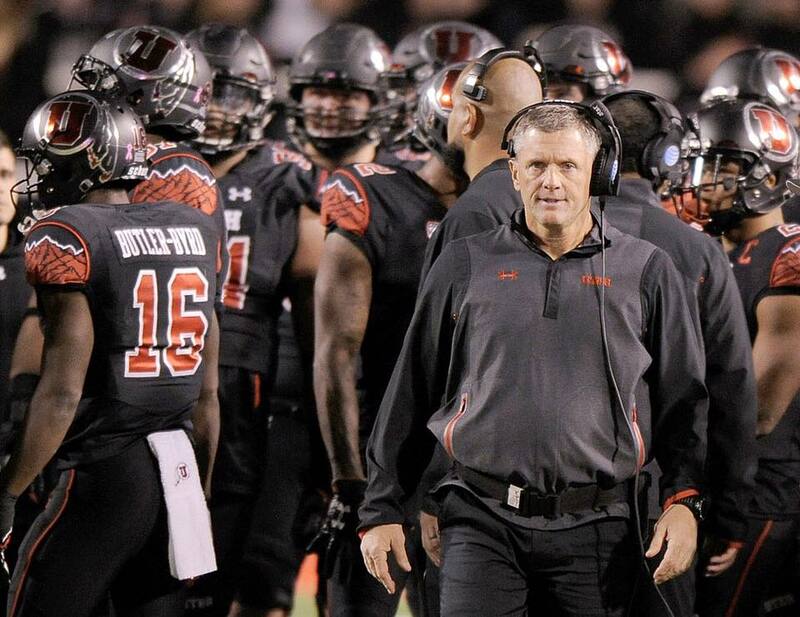 Kyle Whittingham has an established history of being very reluctant to start freshman quarterbacks. Travis Wilson was the exception that proves the rule. Unlike the bare cupboard when Wilson was finally inserted in the starting lineup as a freshman, Utah has too many experienced options ahead of Huntley to make him a serious consideration for starter going in to next season. Be that as it may, I can’t wait to see this kid behind center in a real game, which I believe is only a question of when and not if. So who is going to be the starting QB come fall? If I had to guess, I’d put my money on junior transfer Troy Williams. But I really would be just guessing, as would be anyone else who professes to have an opinion on the subject and whose last name is not Whittingham or Roderick. The perennial question of who will line up under center for the Utes will continue to get a lot of attention, not only in fall camp, but for at least the first couple of games next season. So stay tuned, this story still has legs. The Utes are also developing depth across the board at all positions, something Utah was seriously lacking when it first joined the Pac-12. True depth provides numerous advantages, including competition to press the starters to be as good as they can possibly be, the ability to rotate players within a game and keep them fresh, and not having your entire season ruined by one or two injuries to key players that will inevitably occur over the course of the season. Yes, the Utes continue to take the necessary steps to not only compete in the Pac-12 for the upcoming season, but establish themselves as contenders for years to come. Here’s hoping Utah fans will have lots of reasons to cheer come fall.